How does apologetics work? How can Christians defend Truths of the Faith with people who don’t believe as they do? Here are notes from a recent Bible study about how to defend Christmas – specifically, the Virgin Birth – to unbelievers. The principles of Faith Defense used in this study will work for defending any doctrine of Scripture with unbelieving friends and family members. How do we accomplish Job 1? 2. 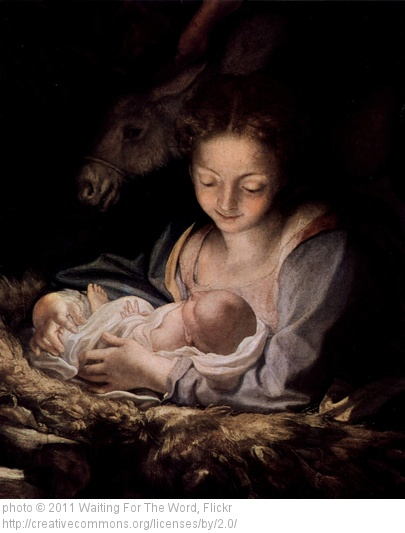 Jesus was just a man, not born of a virgin – nothing special about Him. 3. Jesus was a revolutionary, but died trying to change the world. He failed. 4. Jesus was a good man and teacher, but nothing more. 5. Jesus was one of the world’s great prophets, but never claimed to be God. He would never have wanted His followers to start a religion using His Name. 6. Jesus was a healing prophet, but he was not crucified and did not rise from the dead. 7. Jesus was a false prophet and was rightly put to death. 8. Jesus was delusional, thinking He was God. 9. Jesus was just an illusion from Heaven to point us toward God. 10. Jesus is a creation, the product of relations between a god and his goddess wife who used to be people from another world. 11. Jesus studied in India as a teenager and returned to Israel to become a guru to Jews. His teachings were based on those of Buddha and were frowned upon by Jewish leaders, leading to Christ’s death. Upon death, Jesus became enlightened and merged with the Godhead. 12. Jesus is one of many gods who have visited earth. 13. Jesus is Lord and Savior, but not God (Jehovah) incarnate, not a God-man but inferior to God, not part of a Godhead. Jesus was a created spirit being, God’s only begotten son, sent to earth as a perfect human. His sacrifice became the “ransom” price to redeem mankind from sin and death. After Christ’s resurrection by God, He was “exalted” to a level higher than angels. 14. Jesus was a religious teacher who faked His death because of fierce opposition to His teaching. Jesus escaped, married and spent the rest of His life quietly raising His children. 15. Jesus is a manifestation of God, who is a combination of a series of personages who reflect the attributes of the divine into the human world for the progress and advancement of human morals and civilization. 16. Jesus was the son of a Roman soldier who had an affair with Mary. Joseph divorced Mary for her adultery and Jesus grew up in a world that would have nothing to do with children who were born without fathers. Jesus did what He could to enlighten people to be more compassionate to the poor and downtrodden, but was eventually eliminated by Jewish and Roman leaders in Israel. 17. Jesus is a memory implanted in the human race by space aliens. How should we defend the story of Christmas against those who attack it? By using Paul’s Four Pillars of Personal Ministry: Please God, Persuade people, Reconcile souls, and Represent Christ. In the next part of our study, we’ll see what we “know” about Christmas.